It’s be a win-some-(maybe)lose-some time for social justice politics in sport during the last few days of July. The week started out really well for those of us who value social justice; not so well for the International Amateur Athletics Federation, the Olympics or men who assert the incontrovertible masculinity of football (whatever the code). By the end of that week, my news feeds were full of vitriol, race hatred and colonialist myth making and historical revisionism. It’s been a reminder that, as Harold Wilson is reputed to have said, “A week is a long time in politics”. I hadn’t got far into Monday when my Twitter feed started with an excited buzz about a decision of the Court of Arbitration in Sport; the CAS isn’t normally something I pay much attention to (mainly because I don’t care that much about the fickle machinations of sports institutions’ arcane power-plays). Unlike almost all the other cases, this one grabbed me quickly – partly because I knew some of the people involved (even at our most academic, personal contact is almost always a factor in how we respond to the things we pay attention to) and partly because it was about a profound issue of social justice. The CAS had set aside the IAAF’s retrograde hyperandrogenism rule. This is the ‘rule’ that women with more than a certain amount of testosterone could not participate in IAAF women’s events. The ruling means that the IAAF has two years to prove that there are athletic reasons why it should be allowed to limit athletes’ access to events classifed as women’s or not based on their levels of a hormone all humans have. All this because a young woman sprinter decided she wanted to compete – so respect to Dutte Chand and to scholar-activists such as Payoshni Mitra and Katrina Karkazis who worked with and supported her. It’s always hard to say what the effect of any specific judgement will be, but it is likely that this one will have a long term impact on much of sport’s dodgy pseudo-science and medical claims designed to justify social prejudice. If this is news, pick up the coverage at the Huffington Post and the New York Times. There has also been an opportunity to look back at other aspects of athletic fairness in The Guardian. Still in social media world, but with a broadcast media angle, there was an excellent Monday discussion with women athletes about body identity, athleticism and the ‘body police’ demands that women athletes accentuate their femininity at Al Jazeera’s excellent The Stream. Monday seemed a day of critical discussion, sceptical of the gendered ‘truths’ of planet sport. As if that wasn’t enough excitement for those of us with a social justice orientation in our sports watching, also on Monday Boston’s bid for the 2024 Olympics collapsed under weight of local social and political pressure and rejection. This campaign, once derided by Boston’s mayor as #tenpeopleontwitter, had been making the running in the public opinion stakes almost from the outset, was in place even before the USOC selected Boston as its 2024 bid city – and if my Twitter feed was anything to go by was an awful lot more than 10 people…… It is looking increasingly as if th e powers that be deride on-line activism at their peril, usually because in cases such as mega-event activism, the on-line profile is all the powers that be see, when it is often (as in the case of Boston) only an expression of a much more elaborate campaign on the ground. As is so often the case with these US stories, Dave Zirin at Edge of Sports is the go-to source for what’s going on, and to rebut the revisionism from Boston’s political establishment. 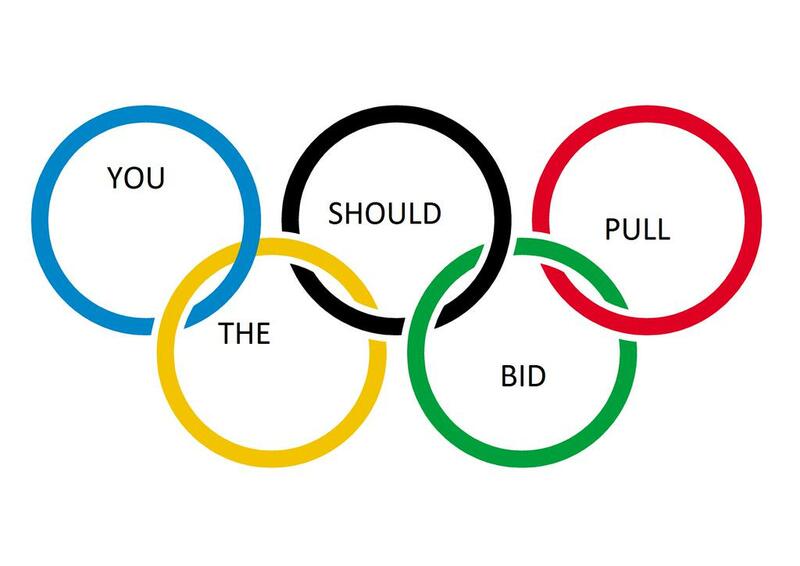 This isn’t the end of the US’s 2024 bid with the USOC rushing off to LA team to put together a bid, which feels a little bit like the IOC approaching London to host in 1948 because despite the war it had the infrastructure that pretty much nowhere else in Europe had; that is, an act of desperation. Bizarrely north of the border, on the same day and on the back of a moderately successful (depending on your measures) PanAm Games despite concerns about the place of aboriginal people in that event, Toronto’s corporate and polticial élite seems also to be about to mount its umpteenth bid. Things seemed to be looking good for the week when it was announced that Jen Welter, the first woman to play as running back in a professional (American) football team and only the second woman to play any position in a men’s team other kicker or place-kicker (so her Wikipedia page tells me) was to be a training camp intern with the Arizona Cardinals to coach inside line backers. That said, it tells us a lot about masculine world that is American football that the appointment of an intern, and a training camp intern at that, is considered a major breakthrough. Then came the reminder that I should not to get too optimistic. The second half of the week saw my social media feeds filling up with things about Adam Goodes, an Australian Rules footballer. 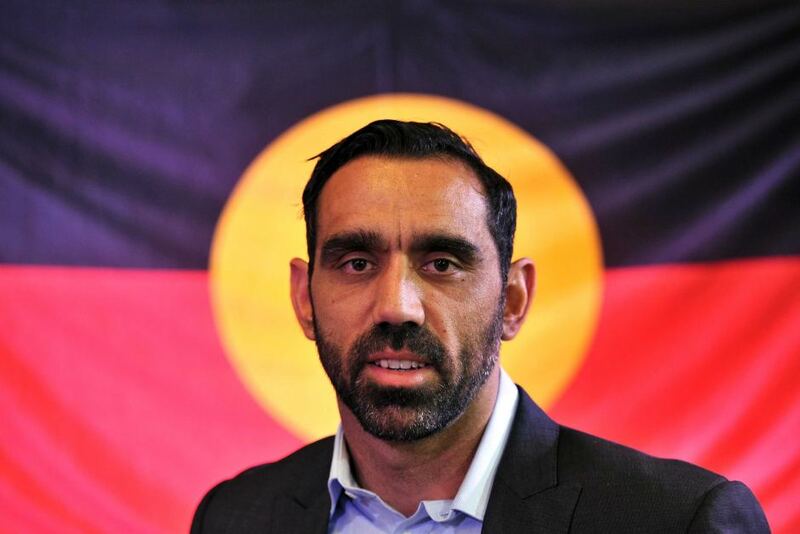 Just as the story about Jen Welter it is a sign of the power of the American football masculine enclave, the intensity of the ‘debate’ about the seemingly endemic booing of Adam Goodes is a sign of the depth of the scar that is colonial racism and the systematic destruction of Aboriginal Australia as a fault-line in Australian national self-perception. Brownlow medal for the ‘best and fairest’ player of the season, he has a very low penalty rate and for a player who has been in the game for 16 years a very low charges and suspensions (four upheld charges, two one game suspensions). He has, however, spoken out forcefully against racism, not only in the game but more widely. As Australian of the Year in 2014 he consistently raised issues of the treatment and status of Aboriginal Australians. All this came to a head earlier this year when, during a goal celebration he performed an indigenous dance that included a ‘spear-throwing’ move, intended as a statement of pride, seen by some as a hostile act in response to what seemed to have been systematic and regular booing directed at him by crowds. Paradoxically, when New Zealand’s All Blacks open each match with a haka it is seen as an expression of pride and respect – but they’re not ‘our’ Aussie ‘natives’. This relentless booing, correctly seen as a form of racist harassment (as argued, for instance, by Victoria University’s Matthew Klugman), has continued, various high profile figures in the game have spoken out against it and in the last week has become a major topic of debate in Australia as media and sporting figures on the political right have launched an attack on Goodes, including revisiting and fabricating ‘truths’ about a 2013 incident where he called out a 13-year old for racist heckling (deliberately it seems omitting both the discussions with her after the game about why calling him an ‘ape’ was offensive and his calls for others also to support her). There is little doubt in my mind that what we are seeing is an organised campaign against a high profile figure who has had the temerity not to be a good native, not to be grateful all the benefits he has as an élite sportsman, not to appreciate all that has come his way as a result of his personal success – but instead to raise issues of injustice, to suggest that Australian ‘egalitarianism’ is not all that it is cracked up to be. As a result, we have seen Goodes’ sporting history rewritten, claims that he gets an ‘easy ride’ from match officials and right wing, populist white Australian media commentators explain to him what is and is not racist, a view challenged by many, including in an impressive piece by indigenous journalist Stan Grant. Still, these figures on the right persist with claims that a systematic campaign of vilification in and out of the stadium is about him, not about Aboriginality even though it did not start until he began to public speak out on issues of race and racism and to use his profile to raise issues related to the parlous situation of Aboriginal Australians. The ‘debate’ has become both intense and absurd, except that it is close to an archetypical ad hominem moment: ignore the issue, attack the speaker and therefore deny the significance and legitimacy of the issues raised, and in doing so in this case whitewash Australian history and the ongoing oppression of its indigenous peoples. In the course of this, we’ve seen some wonderful satirical responses of the kind ad hominem arguments merit, alongside some clear and explicit rejections of the myth making and lies involved in the attacks, including from the excellent Waleed Aly. If I didn’t get my sports news from my social media feeds, I’d know almost none of this. So, my point…. I don’t bother with the sports pages, with sports talk radio or the sports news on the TV, because for the most part they’re not news of this kind, about the politics, cultures and social relevance of developments in sport but corporate and celebrity reporting, often little more than churnalism (vacuous regurgitation of corporate press releases). That the CAS was even considering the IAAF’s hyperandrogenism rule barely rated a mention, at least in the British media, yet it has profound significance for women athletes; the wrangling over Olympic bids is passed over in most national media, unless they are of the country where that wrangling is underway; the vast majority of the debate about Adam Goodes, about race and about the chasm in the Australian myth that is its colonial past and present and its treatment of its first peoples, has been played out away from the sports pages, and very often on-line. Thanks, then, to friends, contacts and people I’ve never met for helping me stay up to date (and seem knowledgeably on-the-ball) about developments in the sports (and my work) world. That’s not the main point though: my media world was full of good news for social justice campaigners at the beginning of the week, but that lasted only two days. As the Adam Goodes story began to take over my various feeds it was a timely reminder against complacency in the face of the hydra of injustice and oppression, but also of the role that sport can play in engaging people in the struggles for a more just world. If a week is a long time in (sport) politics, we might be best advised to pay attention to Joseph Chamberlain who, in 1886, said: “In politics, there is no use in looking beyond the next fortnight”.